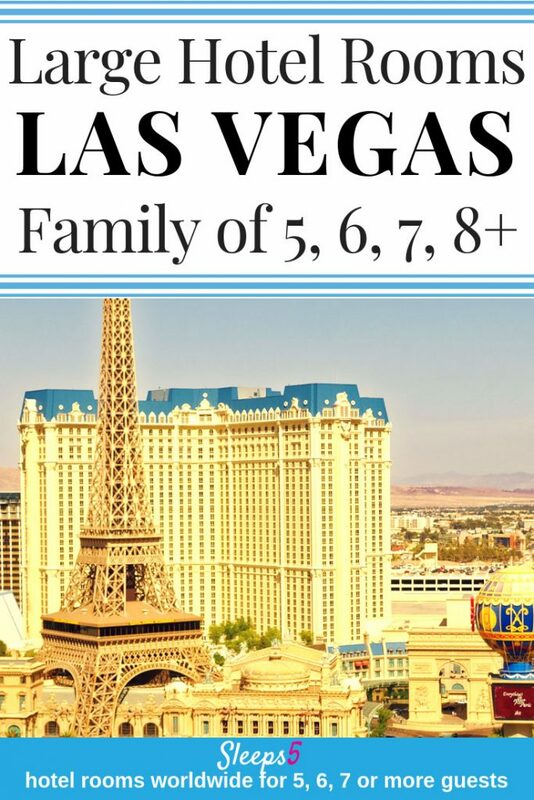 Listed below are family friendly hotels in Las Vegas for 5, 6, 7, 8, or even 9 or 10 guests in one family room suite. They are listed in alphabetical order (scroll down). Five of the hotels are on the Las Vegas strip, and a few more are just a block off the strip. The price or rate range of each hotel is indicated with a $ sign. Please see the $-symbol key in the sidebar. Larger hotel rooms, and family suites are included, for budgets from affordable to luxury. Some offer many amenities, being some of the best family resorts in Las Vegas. All have private bathrooms (ensuite). Some of the big Las Vegas suites for 6, 7, 8, or more, such as the one-bedroom, two-bedroom, or even three-bedroom suites or villas, have more than one bathroom. There is a variety of bed options in the hotel rooms, too. There are King, Queen, and Double beds, and many also offer sofa beds and cribs (baby cot) for guest use. The large rooms or villas often have a kitchen, and multiple TVs, of course! Click on the hotel name for more details about the hotel room or suite and the property. The detail information includes a location street map, the hotel’s contact information and links, the main amenities offered, such as laundry or pool, and tips about how to check availability, reviews, room prices and book. Las Vegas, Nevada has a lot of things to do for families that have little to do with the more mature side of entertainment. 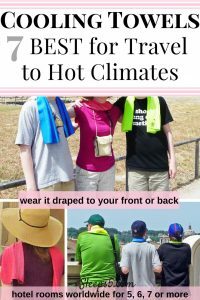 Check out the links below for fun kid-friendly activities. When our Sleeps5 family visited with teenagers, we found plenty of ways to find entertainment and adventure! See the Sleeps5 home page menu to find more lists of United States large family hotels. Included are Anaheim (Disneyland) large hotel family rooms, and a wide variety of San Francisco hotel family rooms, plus a blog post and a few family-friendly hotels for Palm Springs. Las Vegas Attractions for Kids on Vegas.com. Wild West Horseback Adventures offers tours.